GeoBlue Navigator medical insurance provides one of the best international medical coverage for those who serving outside the U.S. Good Neighbor Insurance has provided GeoBlue international medical insurance benefits to our guests, you, since 2002. Below are some great questions and answers relating to the GeoBue Navigator expatriate medical insurance. 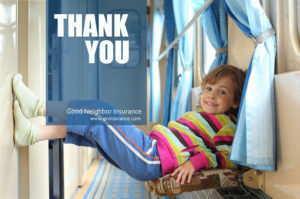 Please view the up-to-date information of the GeoBlue Navigator expat medical insurance here on our web page at https://www.gninsurance.com/hth-geoblue-navigator-xplorer-overseas-travelers/#navigator. Am I guaranteed to be issued a GeoBlue Navigator expatriate medical insurance policy if I apply? No, GeoBlue Navigator expatriate medical insurance is not a guaranteed issue plan. ACA is only applicable for U.S. domestic medical insurance. Each application is medically underwritten. Your application may be 1) accepted, 2) accepted with a rate increase due to your health status, or 3) denied. Global Citizens Association (GCA) is a non-profit organization that gives its members the opportunity to enhance global learning and lifestyles through safe and healthy world travel. With access to GCA resources such as the Healthy Travel Blog (at www.healthytravelblog.com) and international medical assistance information and services, members are able to pursue extended episodes of international living that increase cross-cultural understanding and promote an abiding respect for the world’s many peoples. Founded in 1994 to serve international students, GCA has grown to encompass world travelers and expatriates in all corners of the globe. As an organization run for the benefit of its members, GCA conducts an annual meeting of its membership in January each year to select Board Members and to review and discuss benefits and membership policy. What about accessing participating providers? GeoBlue’s Global Health and Safety services help members identify, access and pay for quality healthcare all over the world, including a contracted community of elite providers in 180 countries. Members can access these carefully selected providers and arrange for the bills to be sent directly to GeoBlue. Please note that in the U.S. a member can simply show his/her ID card at time of service and participating providers will only bill the member for any applicable deductible or copayment. Members have access to the Blue Cross and Blue Shield Network. Whether overseas or in the U.S., members can choose to use any doctor or hospital. Members are never restricted to a network. Please see the benefit schedules to see how coinsurance may apply. Your GeoBlue Navigator expatriate medical insurance comes with outpatient prescription drug coverage up to 100% of actual charges up to an annual max of $5,000 (90 day Max – Insurer waives deductible).